As established beekeepers, we believe in minimising any negative environmental impacts as a result of our beekeeping, by farming traditionally and responsibly. Because we understand the important role that bees play in our environment and food security, we embrace a symbiotic relationship with our bees. 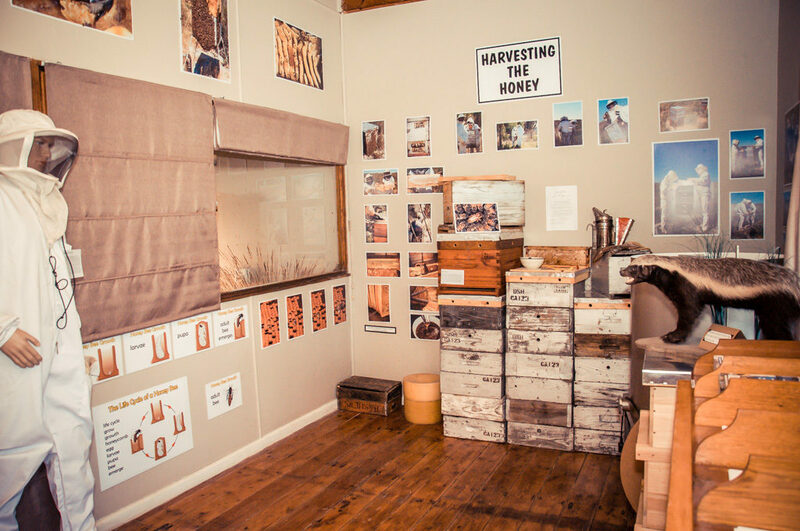 Our Bee Observation centre offer tourists and school groups the opportunity to educate themselves through a greater understanding of the Apis Mellifera Capensis (Cape honeybee), all relevant local environmental issues which include the protection of sensitive species such as the Sandveld Fynbos unique to our area, as well as the Cape Honey Badger. At Simply Bee we are passionate about creating greater economic benefits for our community by only employing Hopefield-locals as staff. By providing a positive and educational working environment(we provide full training), we ensure that we support families in a local economy challenged by a lack of employment opportunities. By sourcing our raw products from our own hives and from local South African businesses that share our commitment to social responsibility and sustainable resources, we lessen our carbon foot print and stimulate our local economy. As an online business providing delivery right to the doors of our customers, we are constantly aware of our carbon footprint. Dedicated to offsetting our carbon footprint we choose responsible alternatives where possible. We provide a product line that is all natural and environmentally friendly. All our products are proudly hand made and labelled right here in Hopefield, South Africa. We choose to use recyclable glass bottles and pots as well as recycled plastic as packaging (where possible and available). Distributing to stockists countrywide – lessening the average driving milage of our customers. Our labels are printed in our town by a local business, resulting in mutually beneficial business. Conserving energy through energy efficient appliances and lights. Using (as much as possible) natural air ventilation and natural temperature regulation instead of air conditioning or heaters. Ensuring that our garden remains water-wise by planting water-wise plants suitable to our climate. Minimising printed brochures by replacing it with electronic newsletters and an updated website for reference. As a family business passionate about the environment, we understand that the world has changed, and thus we believe that the choices we make daily in our business delivers a strong message on which world we choose to live in.